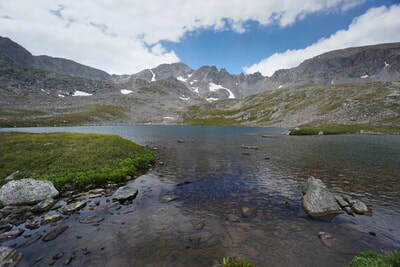 Pacific Tarn is a high alpine lake with an elevation of 13,435 ft that sits at the base of Pacific Peak 13,868 ft. Pacific Tarn is the highest officially named lake (officially recognized by the United States Board on Geographic Names) in the United States. In fact, according to www.highestlake.com, only Lake Muriel, a small pool of melt water on Mount Rainier is higher, and it is not officially considered a lake. 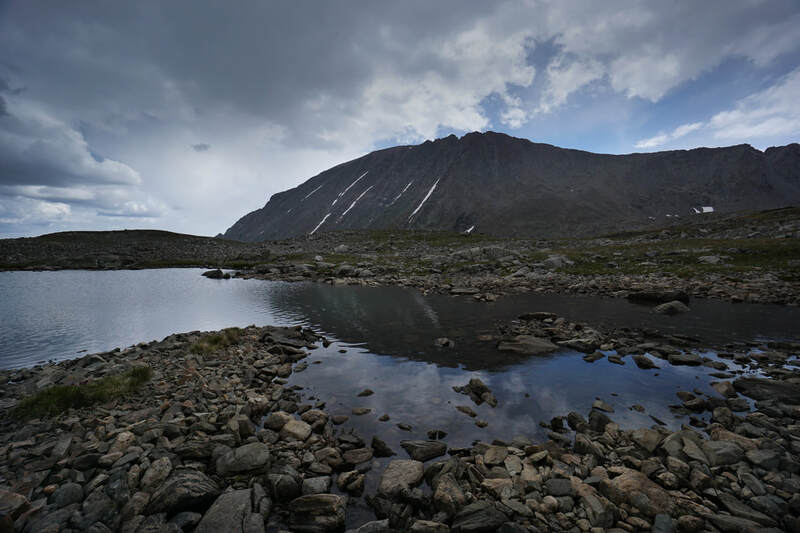 That makes Pacific Tarn the highest lake in the country, and getting there is quite the adventure. 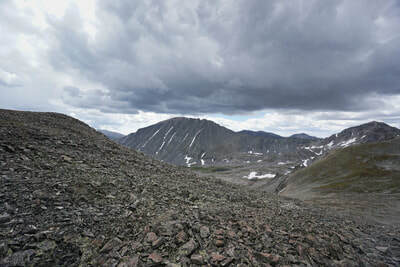 One way to reach the Tarn is via a class 3 scramble across the East Ridge of Pacific Peak. 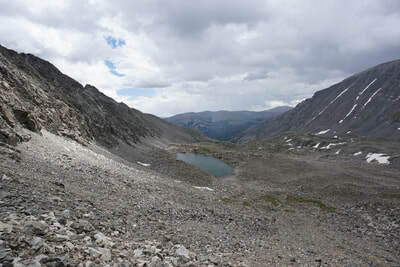 The easier, "standard" route to Pacific Tarn is via McCullough Gulch and an off-trail boulder hop and scree climb up to Pacific Tarn. 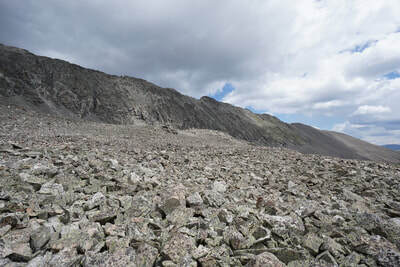 The hardest part of the hike is the climb up the scree slope gaining roughly 800 ft in less than half a mile. After all, hiking to the highest lake in the U.S. should be a challenge. From the trailhead, follow McCullough Gulch Road for .6 miles to the old McCullough Gulch trailhead. 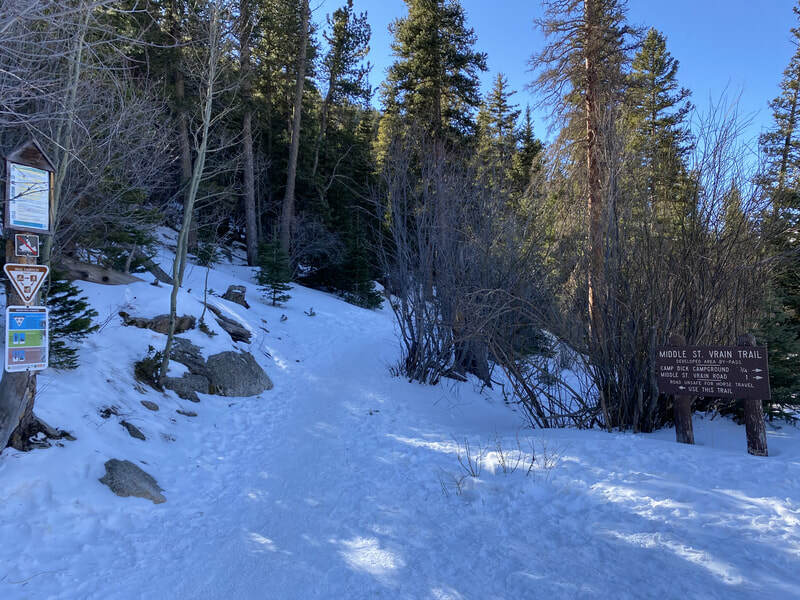 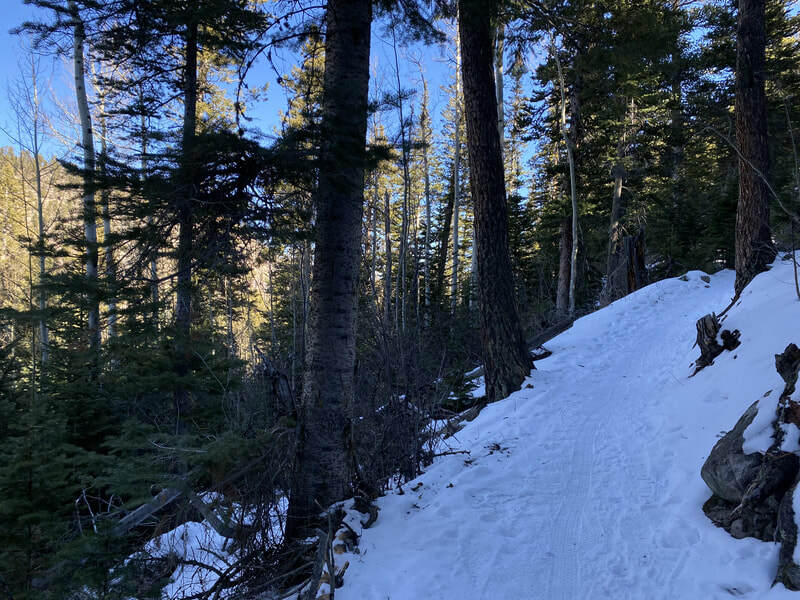 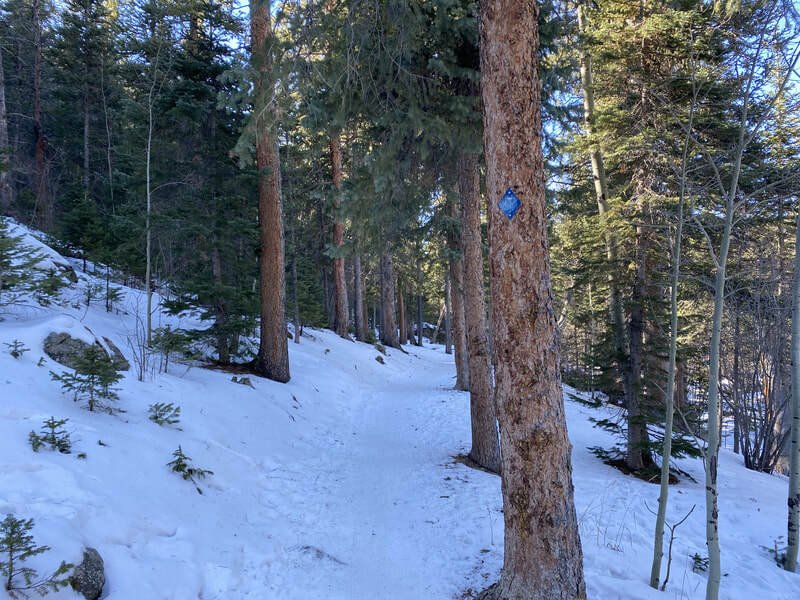 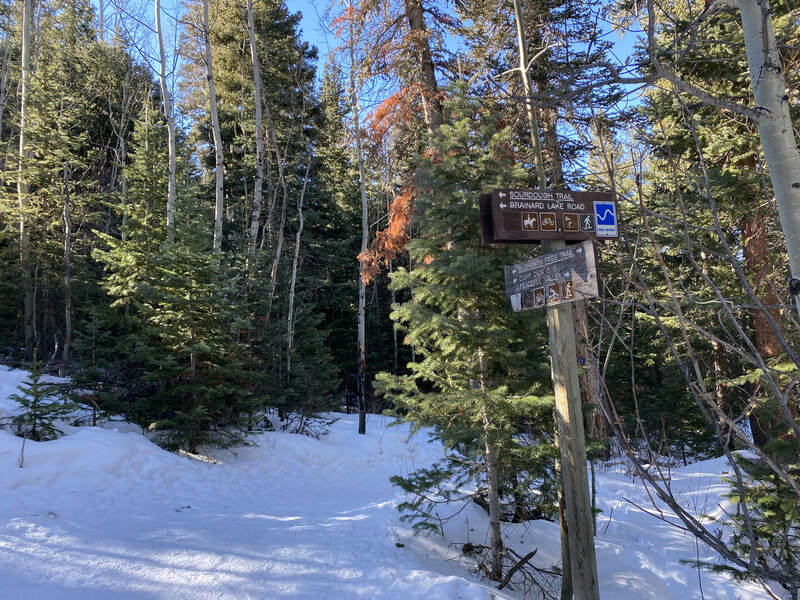 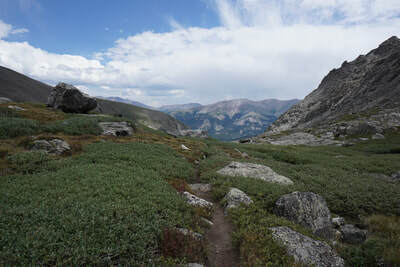 Over the next mile or so, the trail skirts up the northern wall of the valley through pine and aspen forest with frequent views of Quandary Peak's mighty north face. 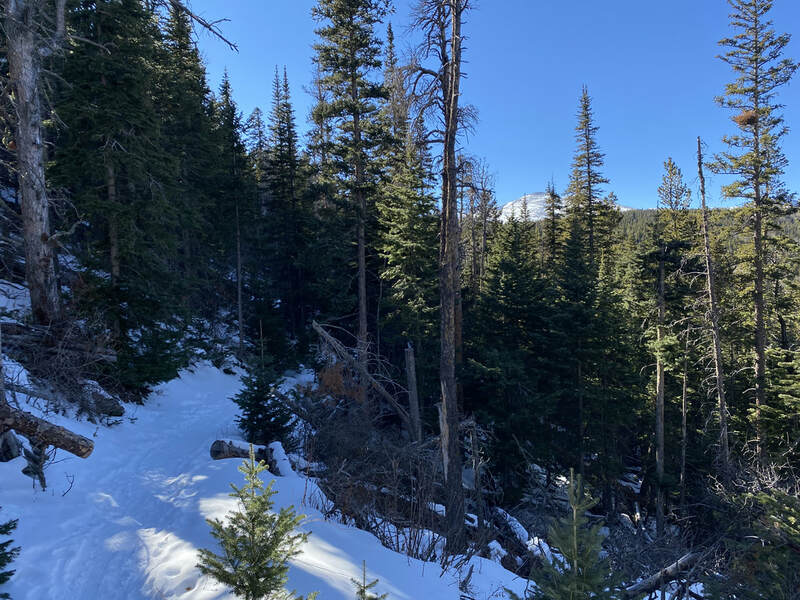 One mile from the old trailhead is the impressive White Falls. 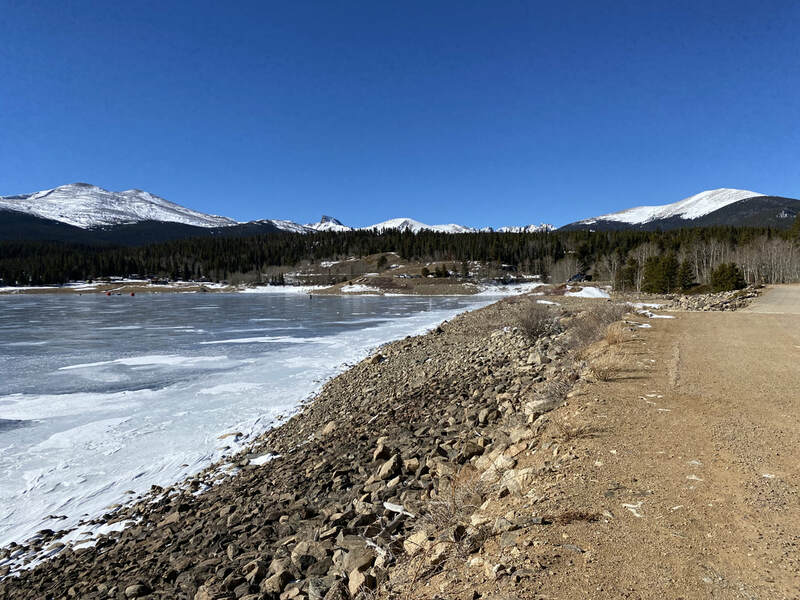 After .3 miles of steeper hiking you'll arrive at Upper Blue Reservoir. 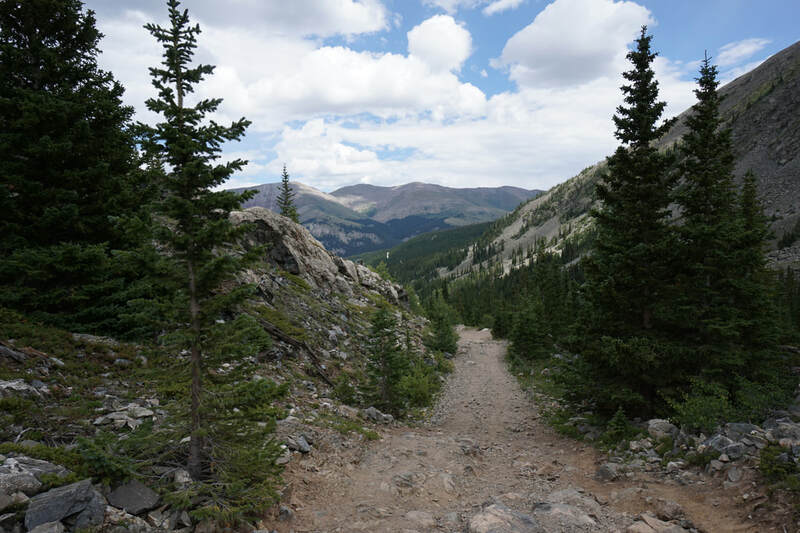 Continue on good trail along the northern shores of Upper Blue Reservoir, across the creek and through a lush wildflower filled rock garden. The trail steeply climbs up to the next shelf and gets fainter as you go. After about a .5 miles, you'll reach the next shelf and find a small unnamed shallow lake at the head of the upper basin. The trail gets fainter but far easier from this point to Upper Lake #1, an easy .5 miles away. 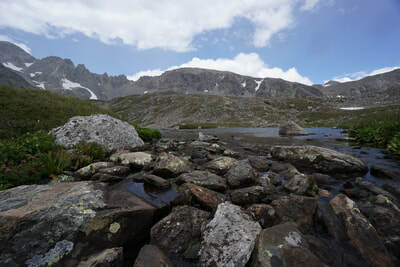 Climb a small hill to reach Upper Lake #1 with impressive views of Mt. 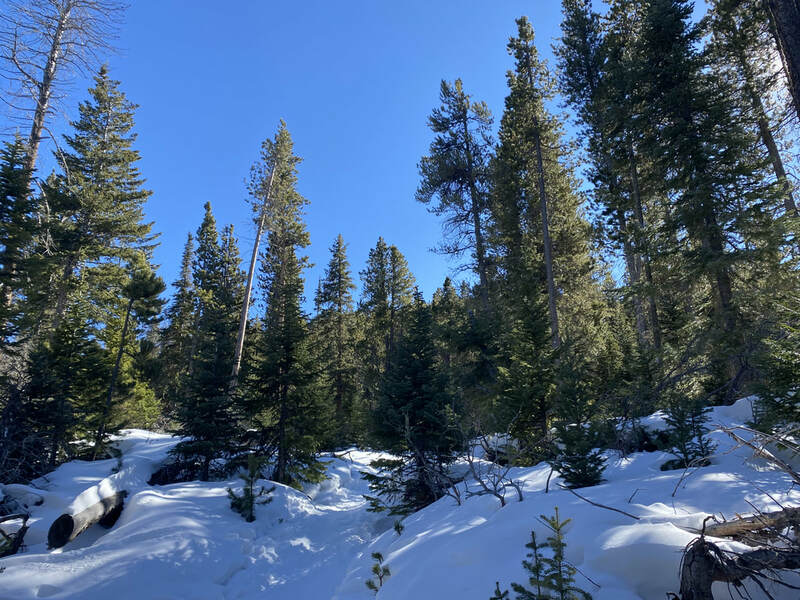 Fletcher towering overhead. 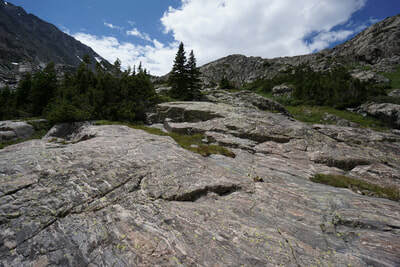 This is where the trail stops and the route finding begins. 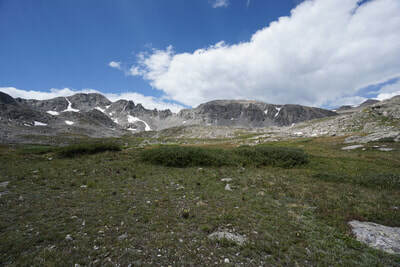 Look to the north and trace the ridge until it reaches a saddle with Pacific Peak popping out over the top of the saddle. If you get confused, look for the spot where the ridge to your west meets the ridge to your north. 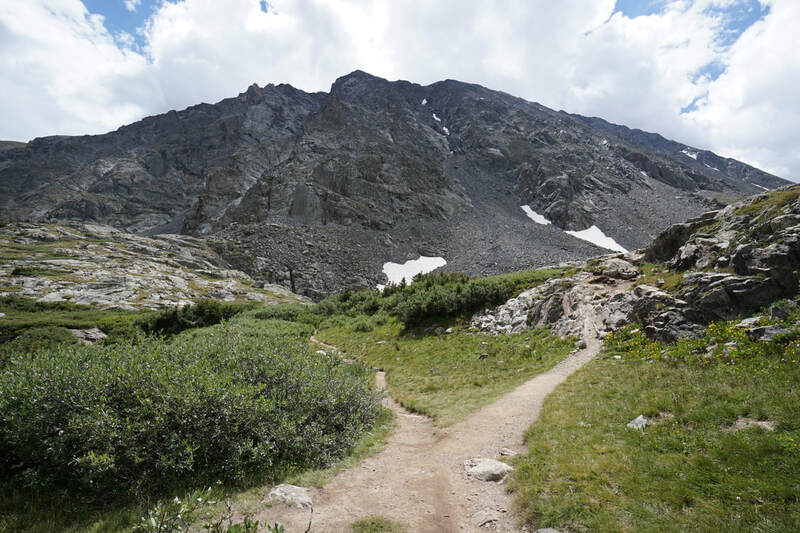 Where they meet is the saddle you need to climb to. 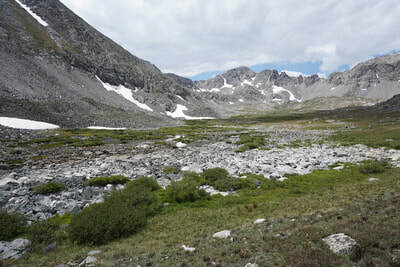 Head north, boulder hopping up and over a number of small gullies and over some snowfields paralleling the basin head-wall to the west and aiming for the saddle. After about .6 of a mile you'll reach the base of the steep climb up to the Tarn. 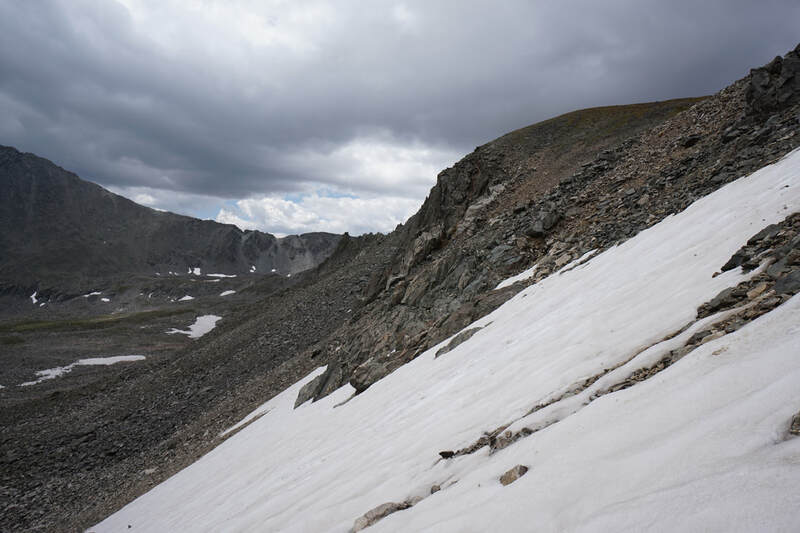 Find a route that looks manageable, I suggest staying to the right of the slope. 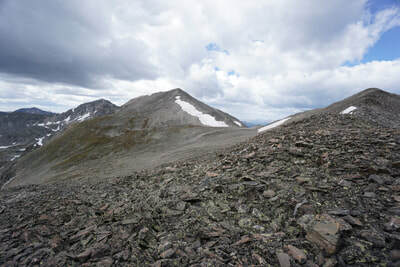 The terrain will be loose rock and loose dirt, and it is very steep. 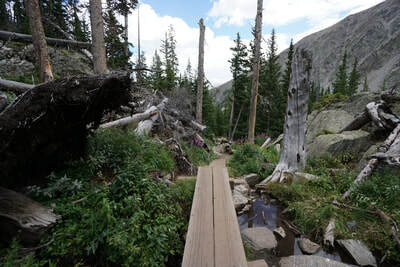 You may need to use your hands to help climb, treking poles may be useful. Luckily this climb does not last too long and before you know it the grade will get easier and the rocks will get larger and more stable. Continue choosing the path of least resistance and bear to the right (north). 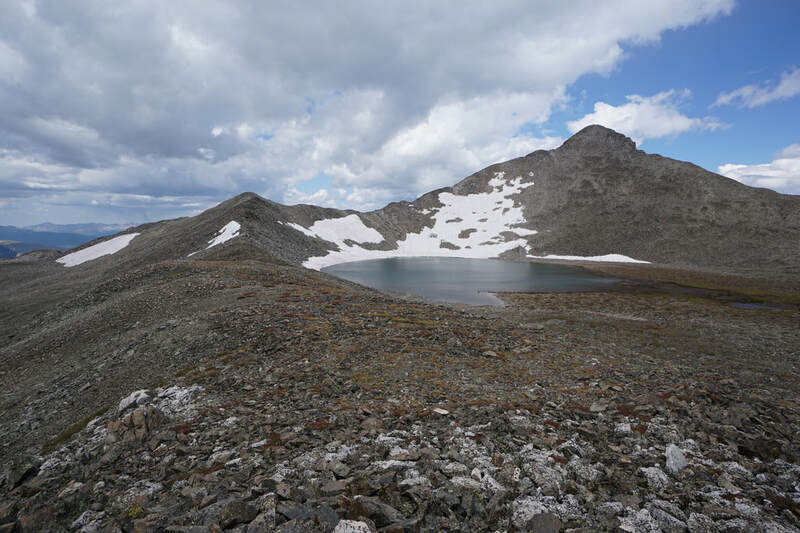 After about a half a mile and 800 feet of climbing, you should be standing on top of the ridge looking down at Pacific Tarn and up at Pacific Peak. 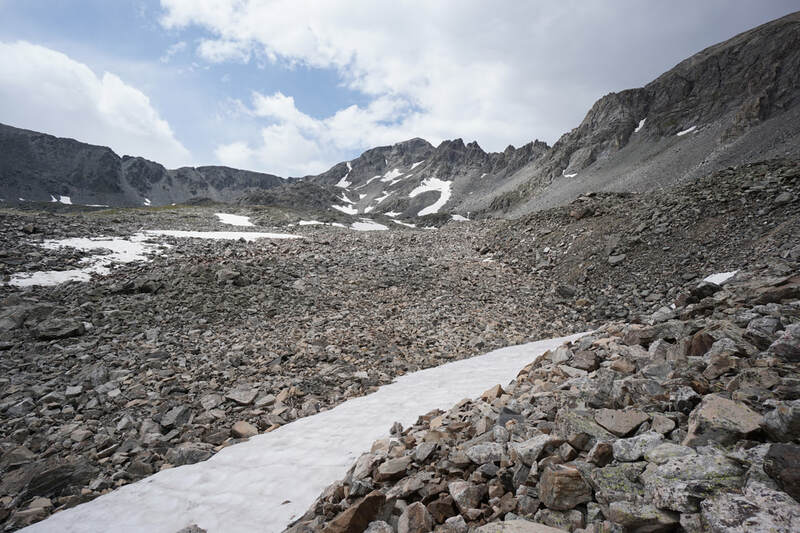 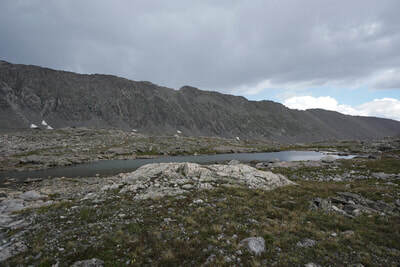 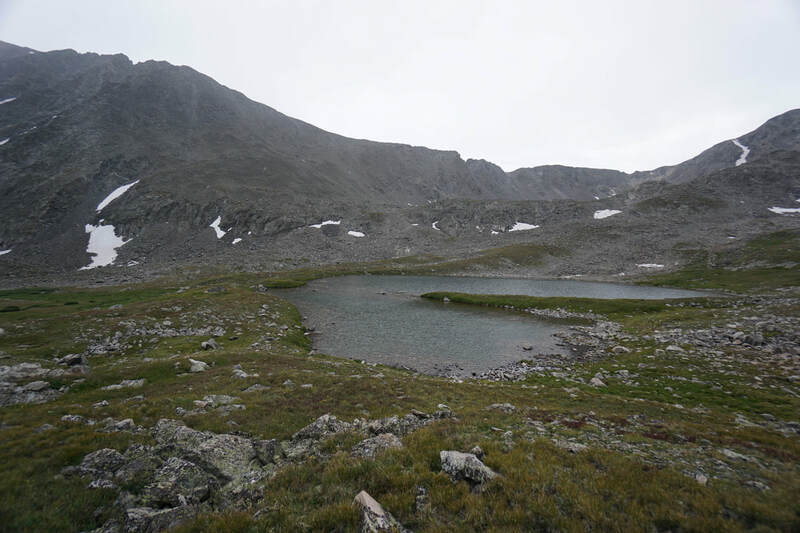 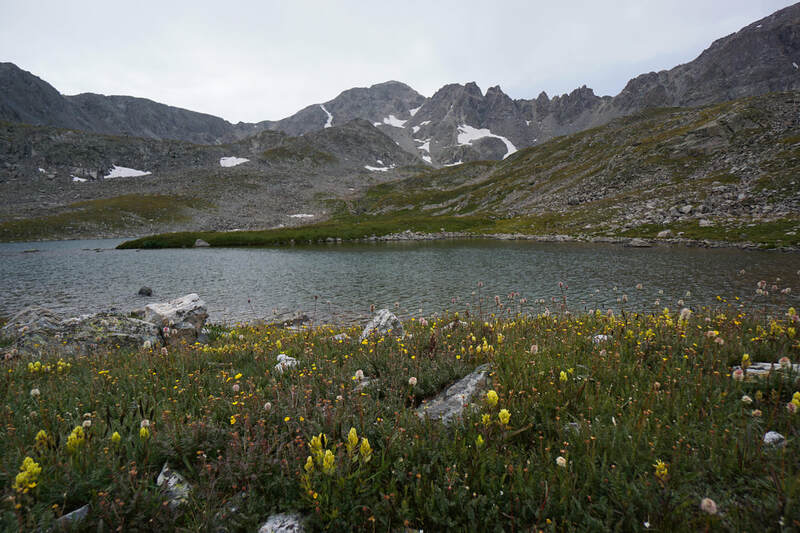 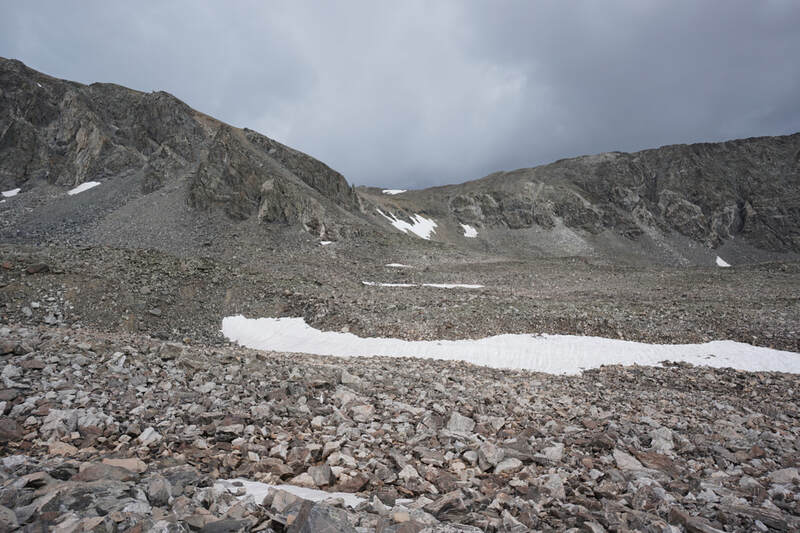 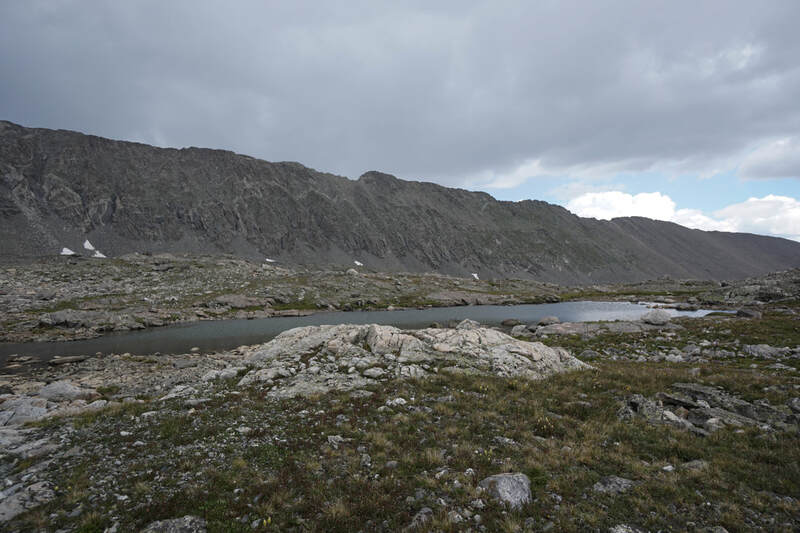 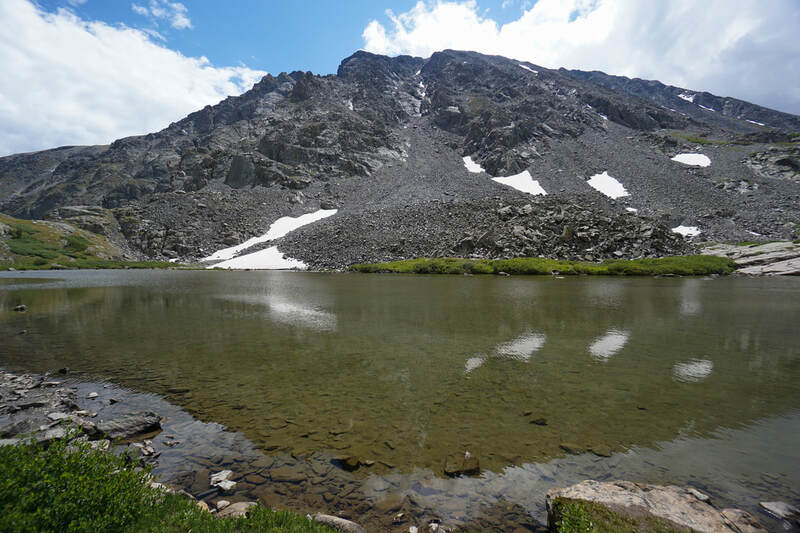 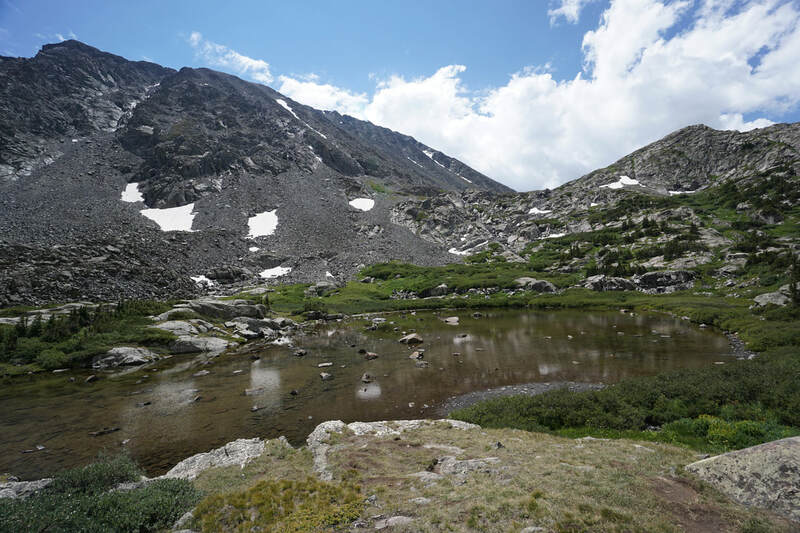 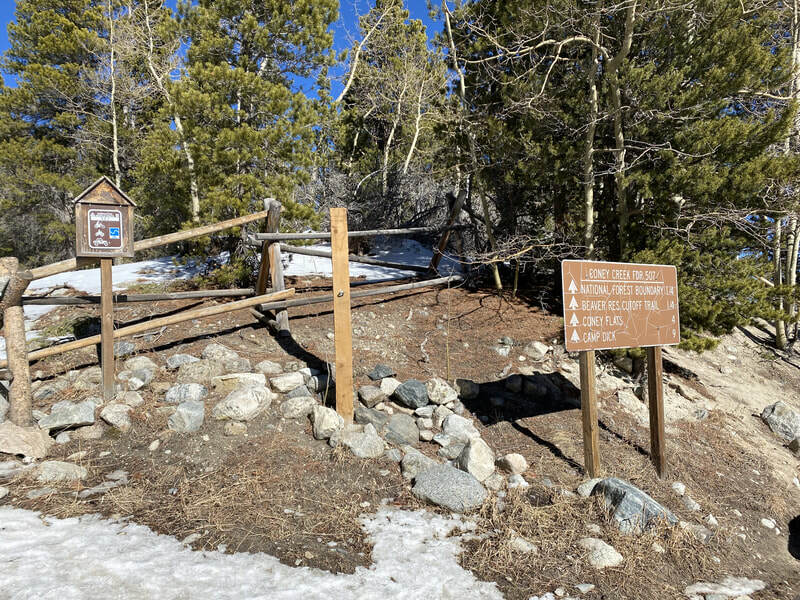 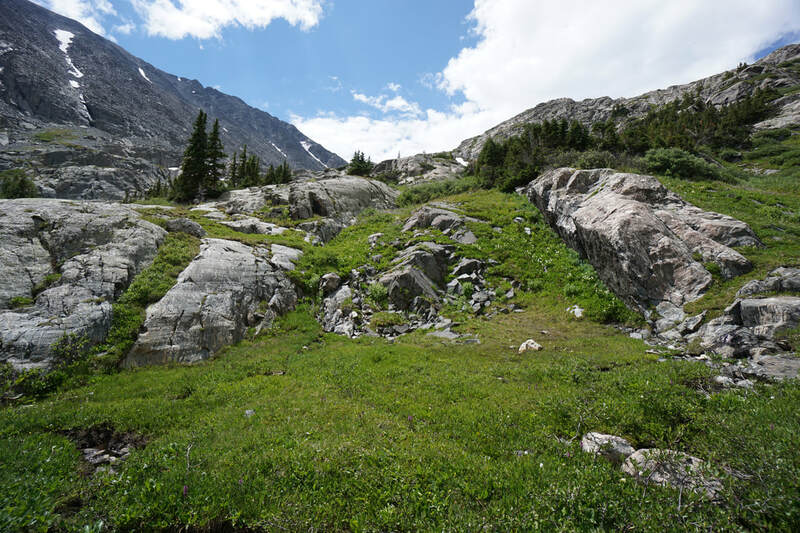 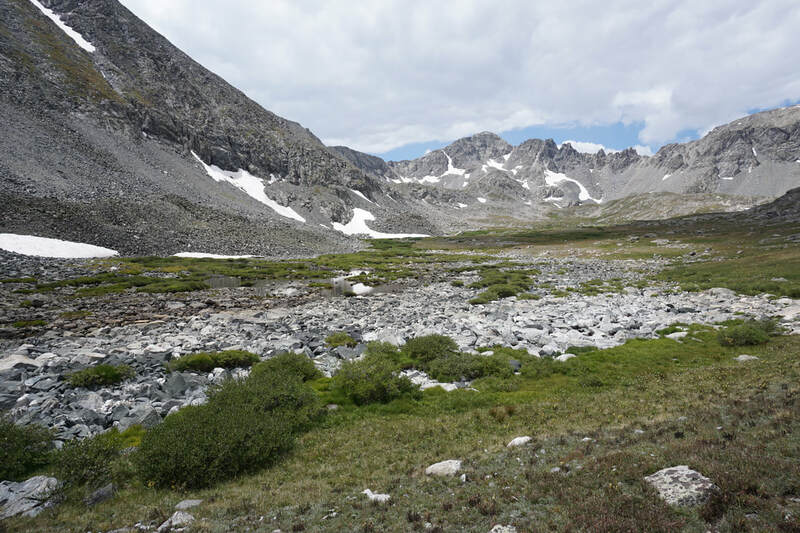 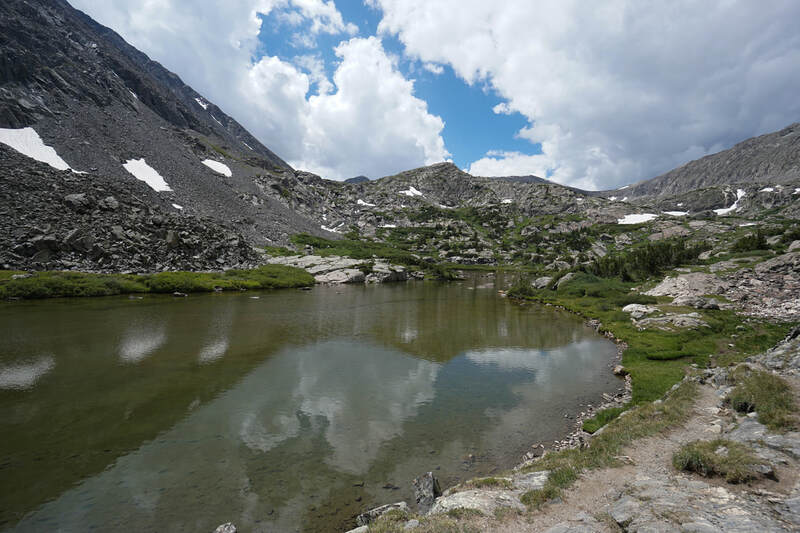 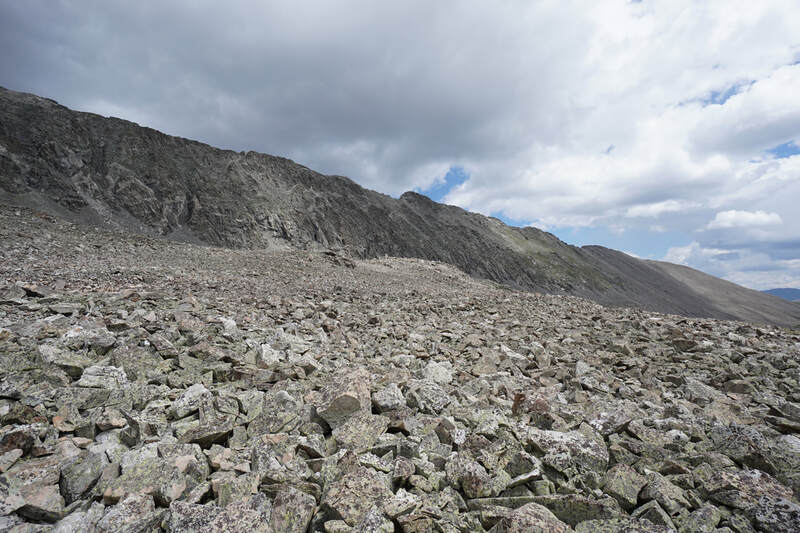 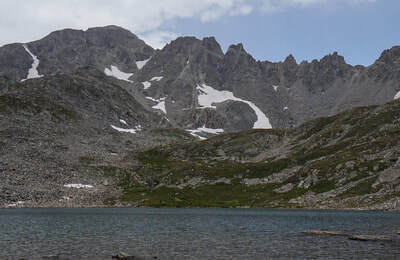 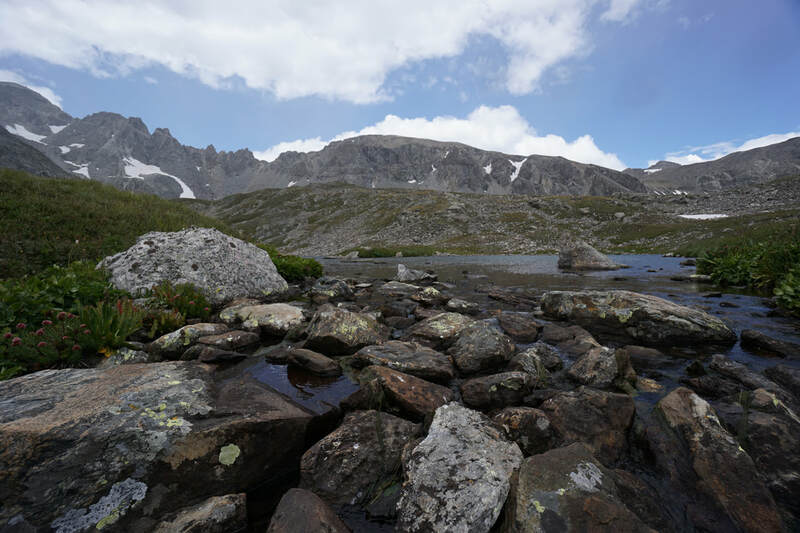 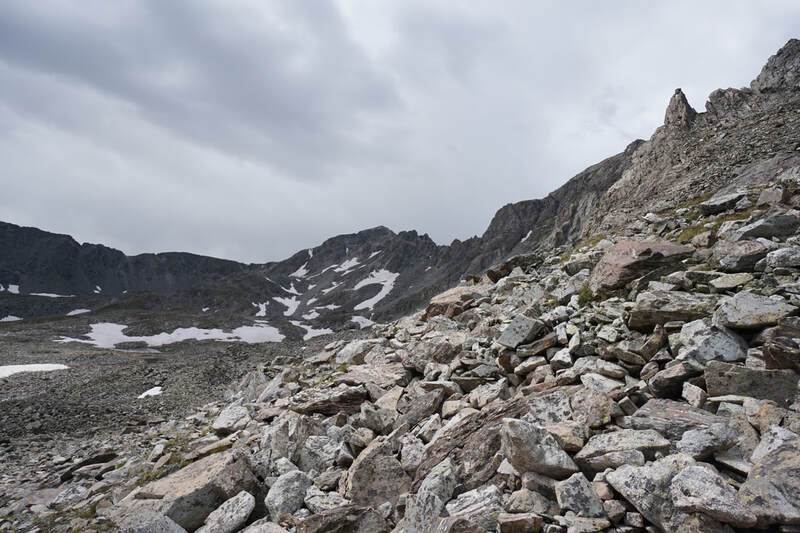 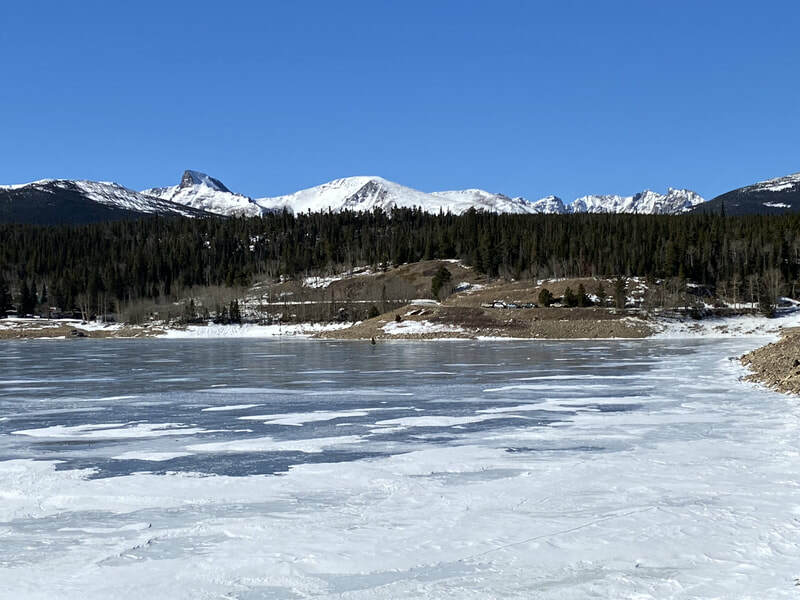 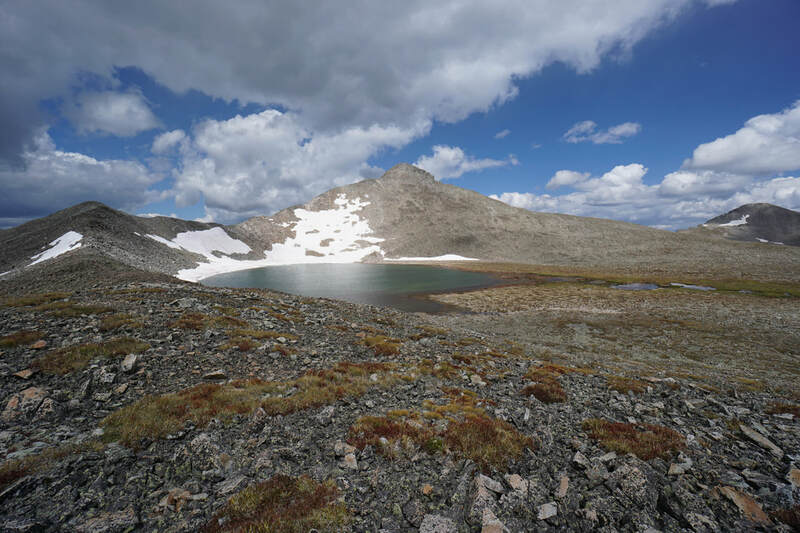 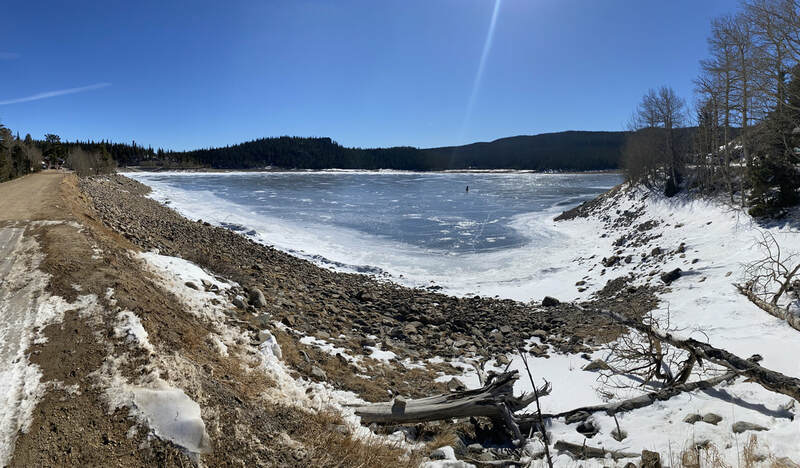 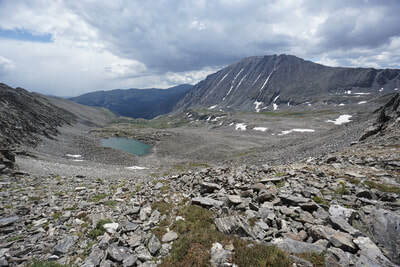 Climb down the boulders about 30 feet to reach the shore of Pacific Tarn, the highest lake in the U.S. Be sure to check out the glacier at the far end of Pacific Tarn and listen for calving icebergs, a rare sound in Colorado. Pacific Tarn sits on a high shelf of exposed tundra. 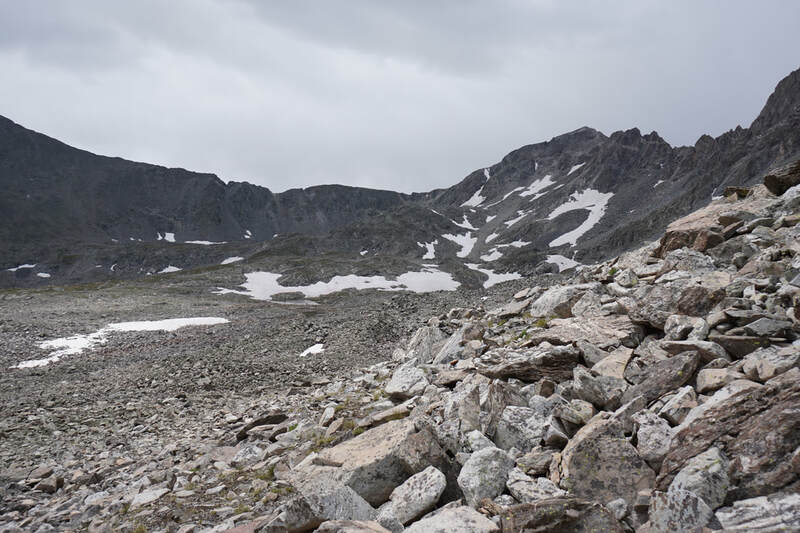 The landscape is stark, barren, and beautiful. 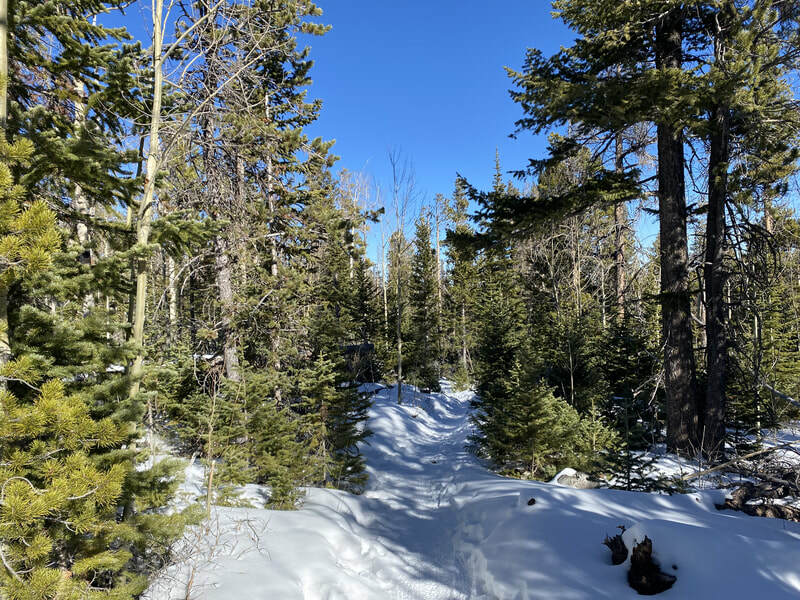 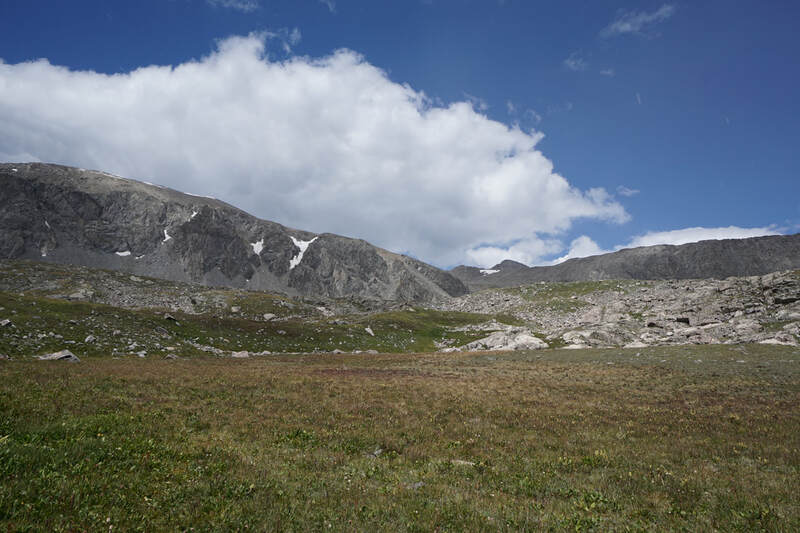 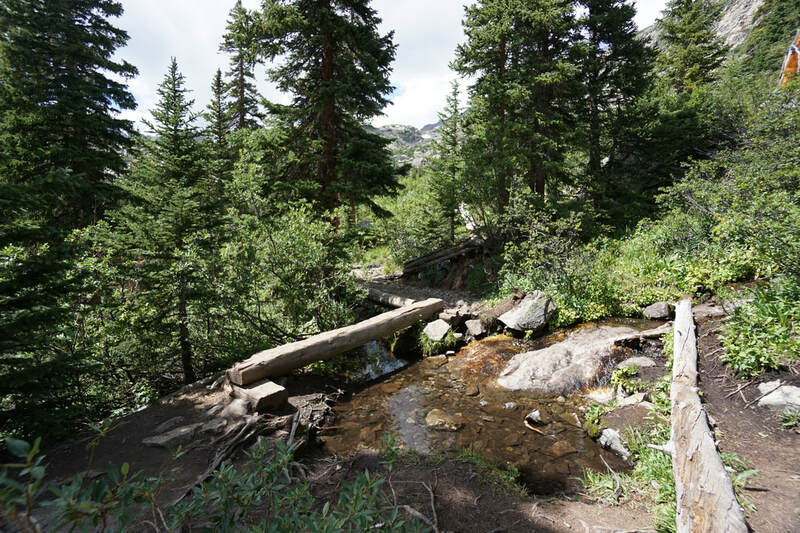 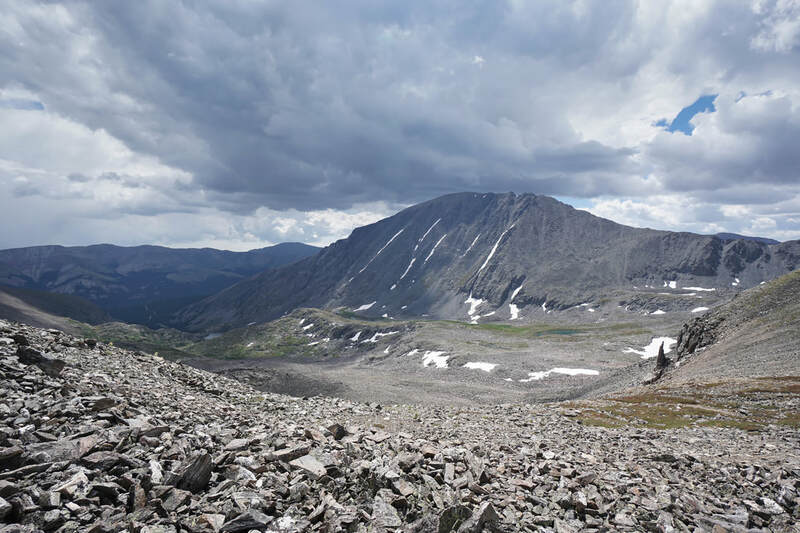 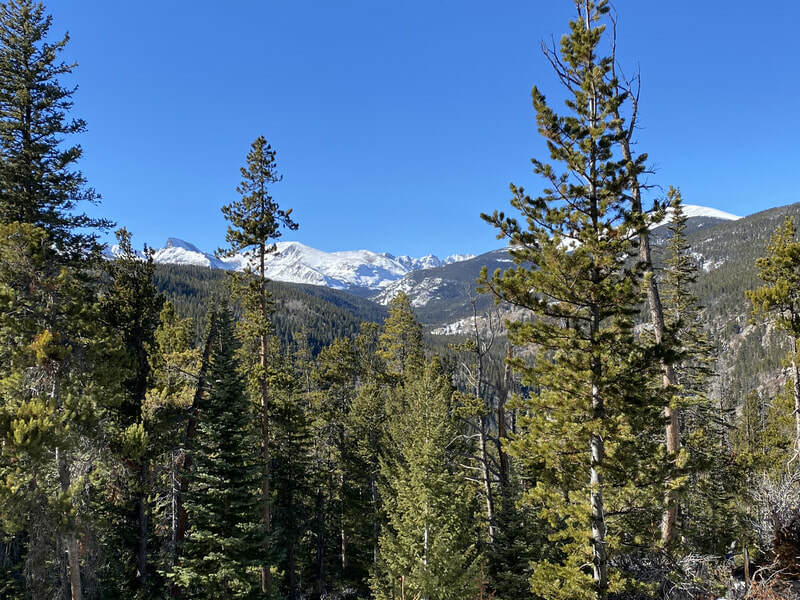 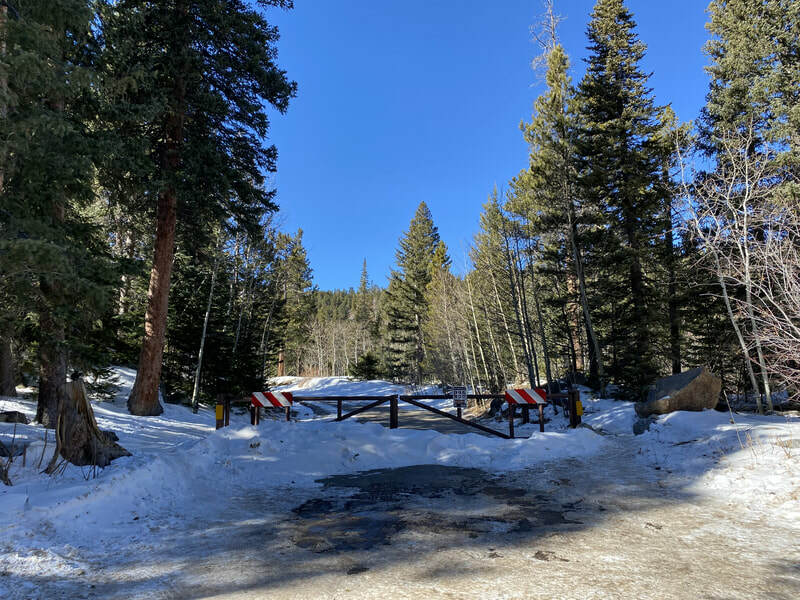 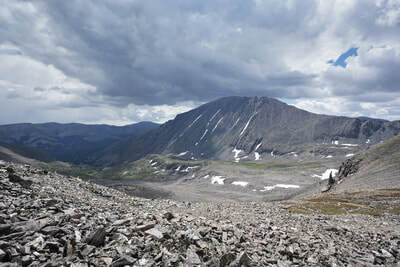 You'll also be rewarded with phenomenal views to the north and south of the surrounding peaks that were hidden while hiking up McCullough Gulch and the high basin. 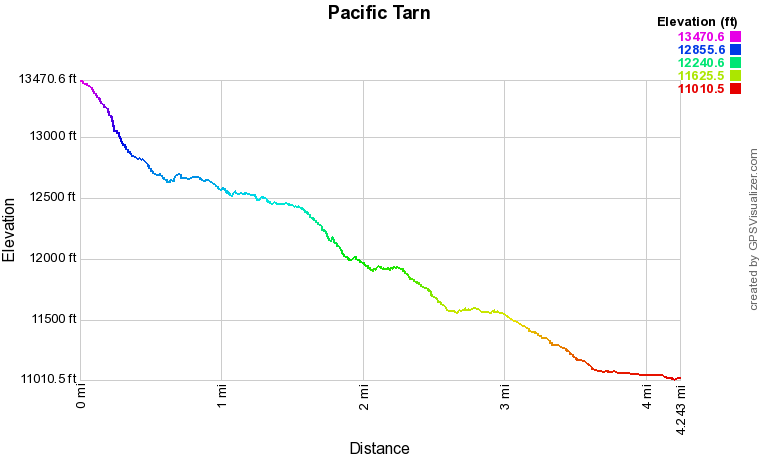 If you want extra adventure, you can summit Pacific Peak by following the class 2 ridge to the west.